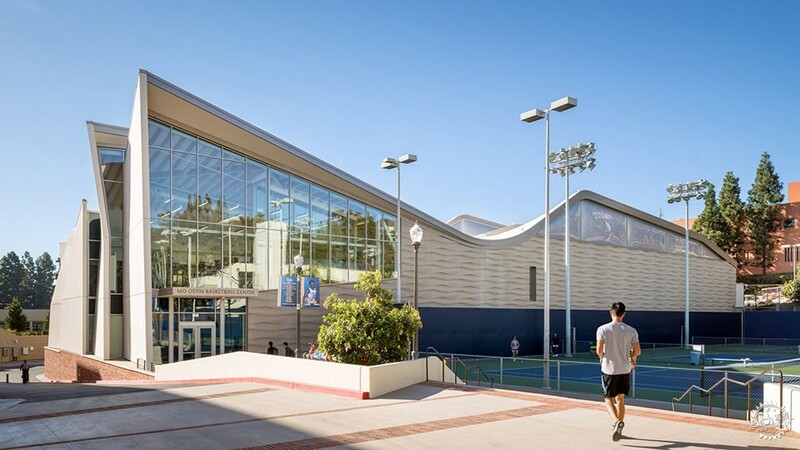 The Mo Ostin Basketball Center is a joint basketball facility for the women's and men's teams of University of California Los Angeles (UCLA), both of which are currently in the top five in the nation. 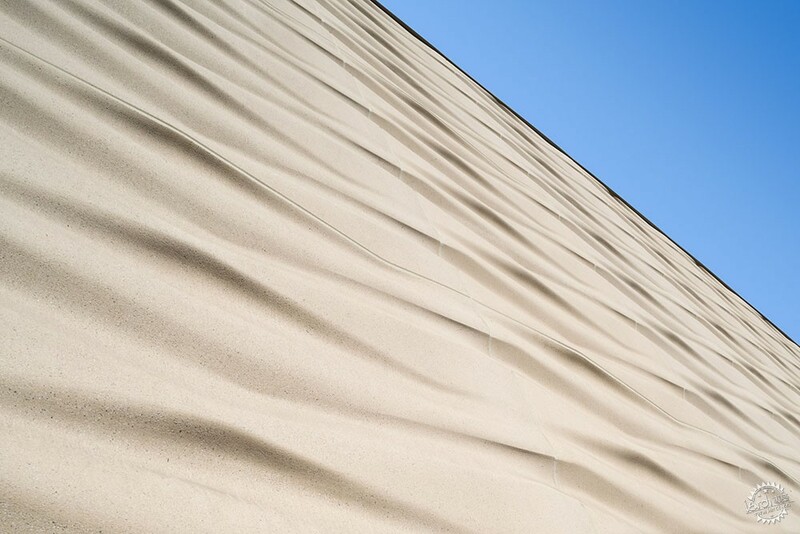 Designed by local firm Kevin Daly Architects, the structure spans approximately 35,000 square feet (3251.6 square metres) and has a varied construction with angled panels and other wavy, sand-like facades. 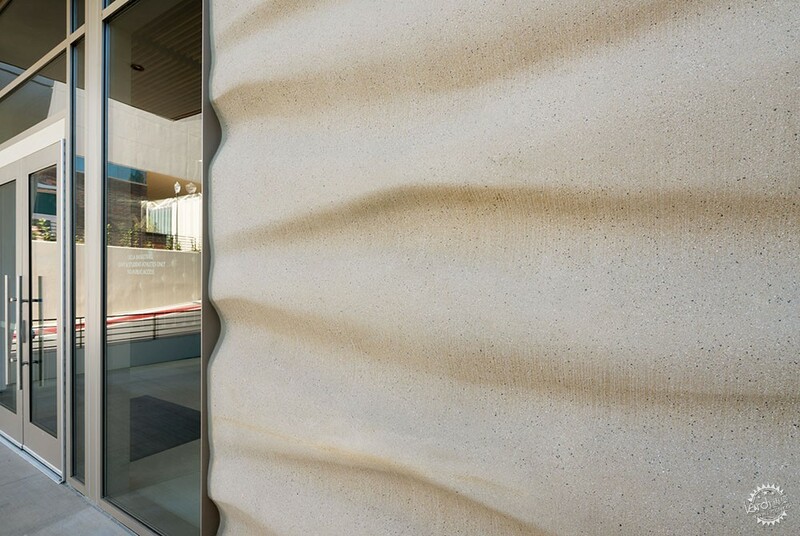 Located on a corner lot, the training centre is constructed with custom-moulded panels of thin made of glass, fibre and reinforced concrete (GFRC), which were pre-fabricated off-site and create a warm undulating pattern. 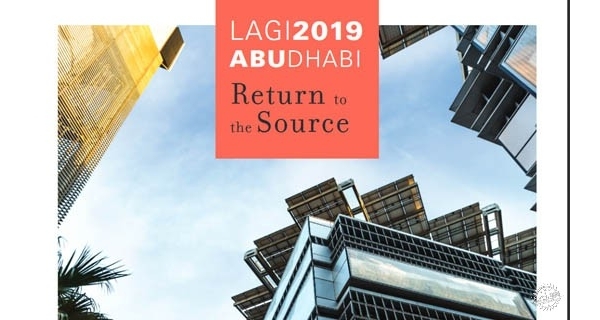 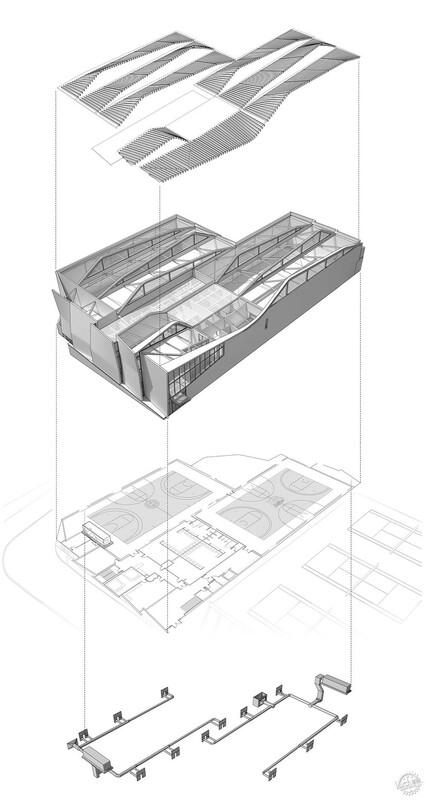 The building is designed to be as energy efficient as possible, with a natural ventilation system that replaces air conditioning, while courts are naturally day-lit with clerestory skylights that face north. 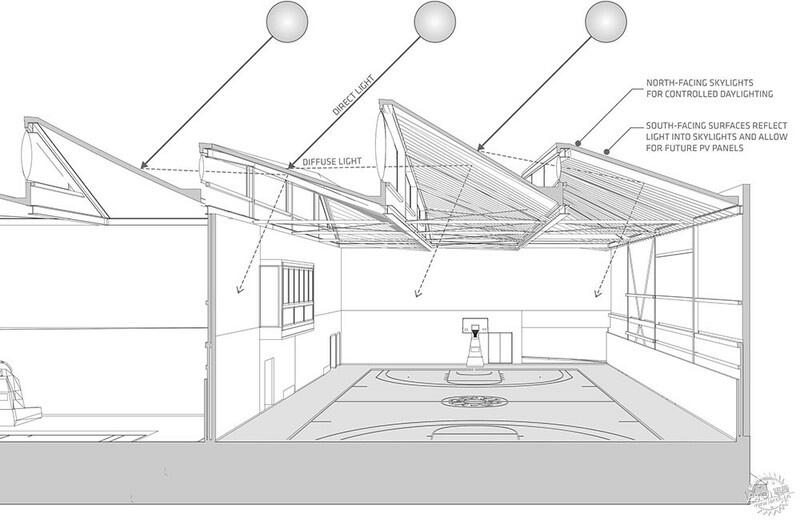 Inside is a double-height room with two basketball courts, with lightwells overhead made from ETFE – a fluorine-based plastic. 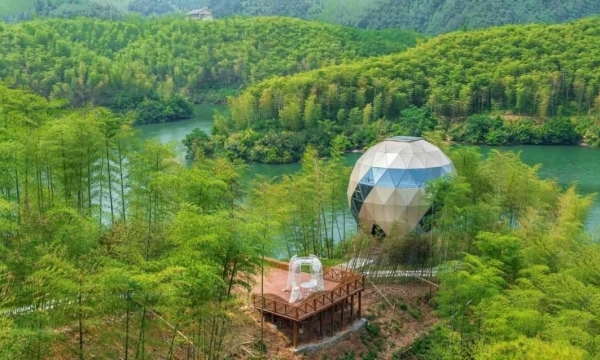 "The shape of the roof is almost like a clerestory window that's arched, but the roof directly behind is almost like a reflecting lens that then bounces that light and distributes it onto the floor," said Kevin Daly, founder of the eponymous studio. 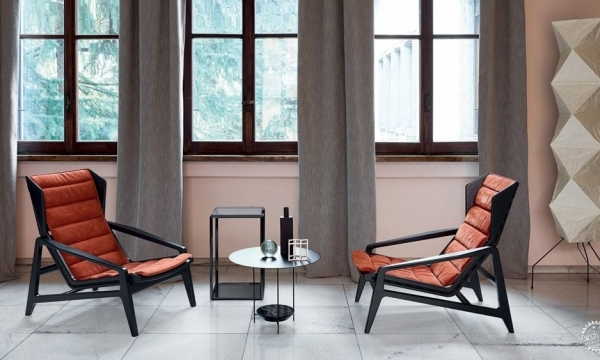 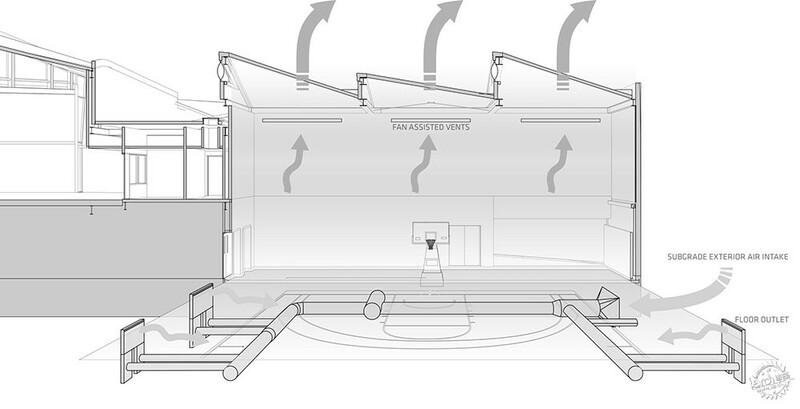 "And the idea behind doing that is it let us push as much light as we could on the floor and make it so that at any point (when) the building's open and it's during the day you wouldn't need the lights on." 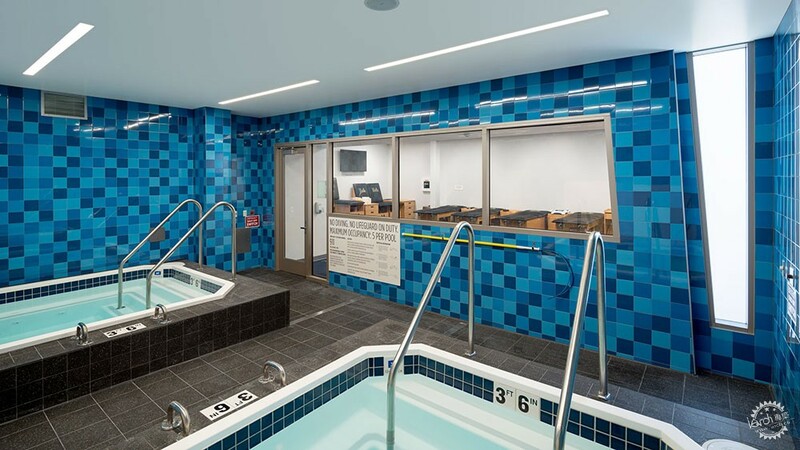 A weights room is flooded with natural light, while other amenities include a glazed observation room, bathrooms, locker rooms and a pool room. 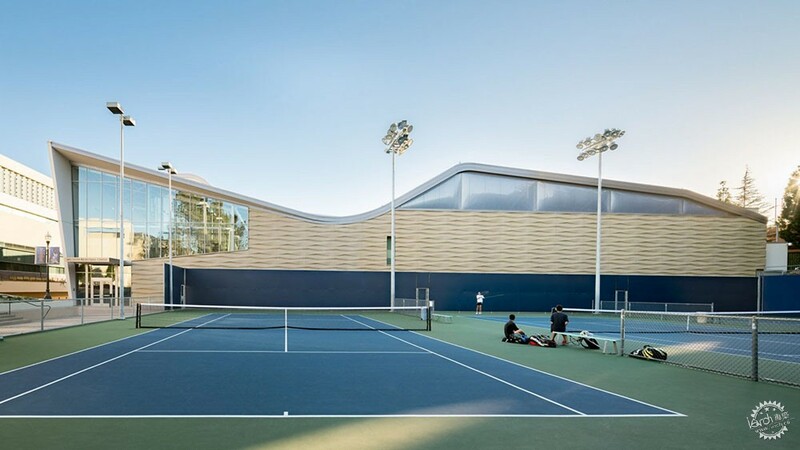 The complex is joined by a set of three tennis courts outside, painted blue to match the school's colours. 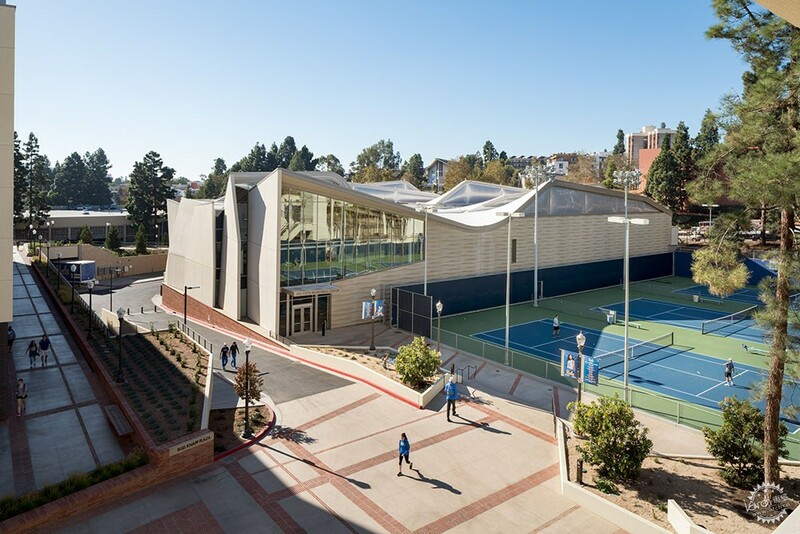 The Mo Ostin Basketball Center is located within UCLA's ath-letics precinct at the heart of campus, and is sited near an existing basketball stadium and a new football training centre. 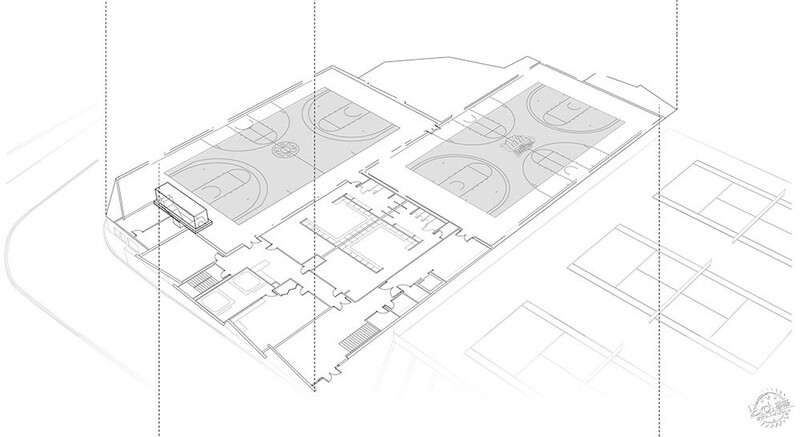 The project's courts are designed to resemble those at UCLA's Pauley Pavilion, where games are hosted. 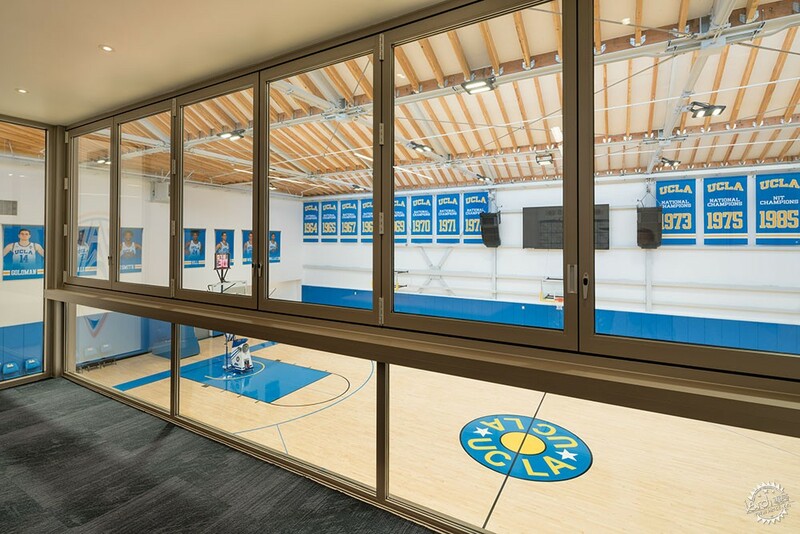 "The courts feature the same kind of wood on the same kind of suspension system and even the lighting system mimics how bright the floor of Pauley Pavilion is when they're broadcasting a game on TV," said the studio. 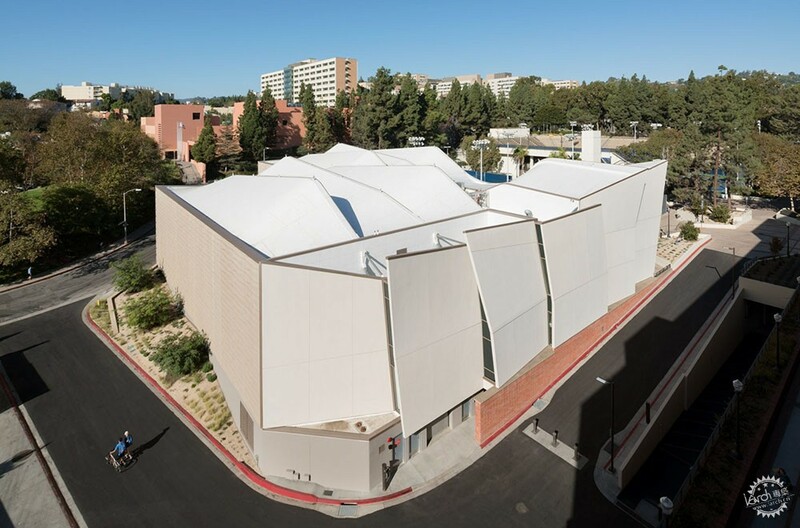 Another UCLA project is a student housing complex by LOHA in the city's Westwood neighbourhood. 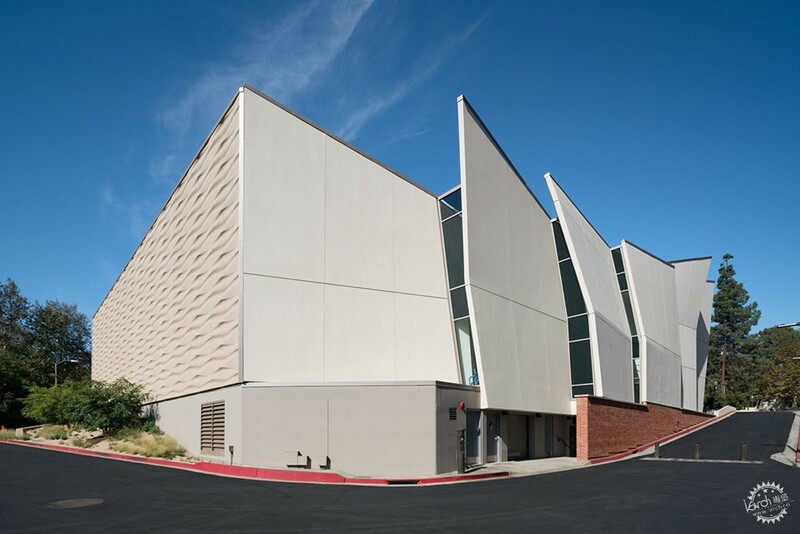 The building has a flatiron shape with a tiered construction and is clad in corrugated metal with pops of lime green. 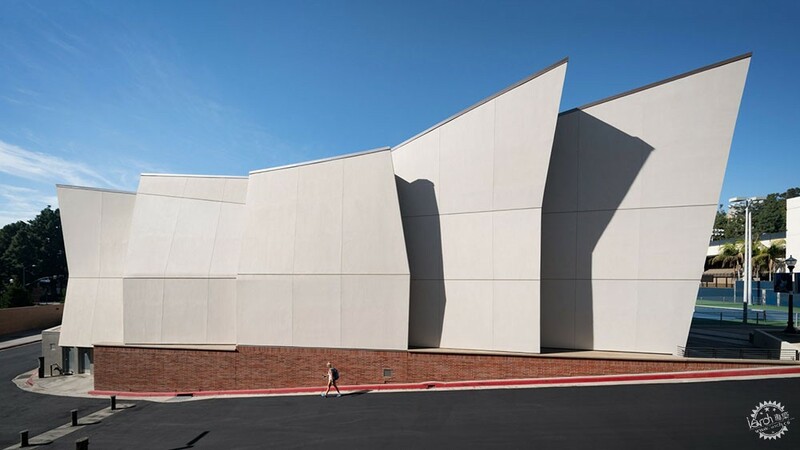 Kevin Daly Architects has also built a low-cost housing complex in Santa Monica, California, with angular green window designs that jut out from its white tiled exterior, as well as a micro-dwelling designed in collaboration with UCLA.